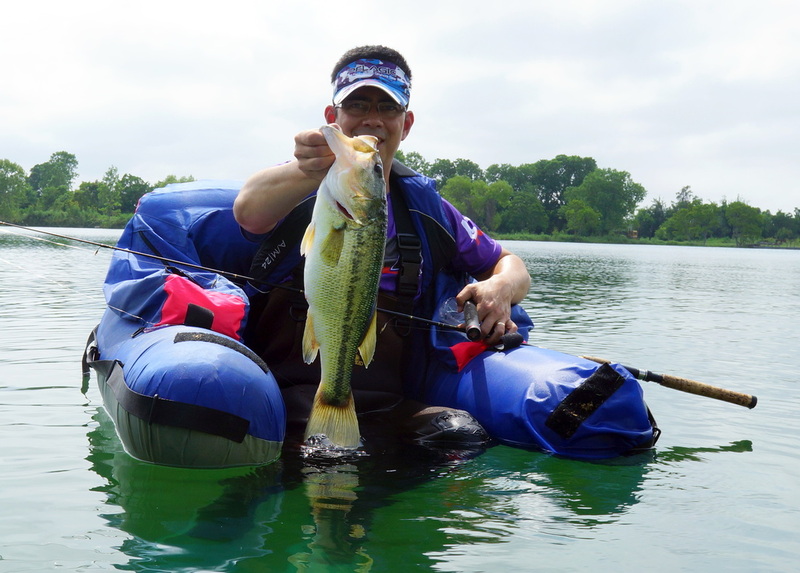 Float tubes are a fun and inexpensive way to get away from the shore and fish spots others can't reach. 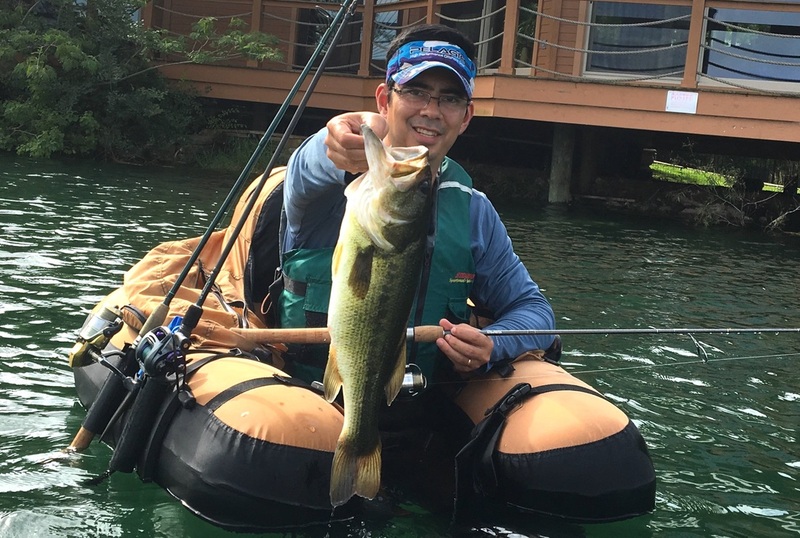 They can open up a whole new world of fishing for the shore-bound angler and provide a more intimate fishing experience where you are right in the water with the fish. They are very quiet and you can sneak up on fish in a way that is just not possible from a boat. They are ideal for smaller bodies of water and I have even done a little float tubing in the ocean although that is generally not recommended outside of protected areas. Older float tubes had a rounded shape that is not as aerodynamic as the newer pointed ones. I highly recommend the more aerodynamic design like the recommended model below. As far as color, if you are in an area without boat traffic you might consider a camo or muted color, while if you fish on a heavily trafficked lake you might want a brighter color to be more visible to boaters. Make sure you are within the weight limits for the the tube you select and you should be good to go. A good pair of waders is important if you don't want to sit directly in the water. There are many brands and any of the ones below should work. You also need a good pair of fins. There are fins made specifically for float tubing that can be used with shoes or boots (good for people who use booted waders). I often I just use stocking foot waders with regular dive fins as they give a lot of propulsion. An extra rod holder is always a good idea. You want to keep the rods vertical if you can and out of the way of your casting. Some people bring an anchor if they plan to stay in one spot to conserve energy. If you want to fish with live bait, you can easily bring out a floating bait bucket. You can also bring a small portable fish finder to help you explore below the water as well as above. There is a great one that you can buy by clicking the link below. I like using a shorter rod than I would otherwise use. It's much easier to land fish, undo tangles at the tip, retie, etc. Six foot six is the longest rod I would bring in a tube and if you can get away with a shorter rod that's even better. You generally can get closer to spots than you could otherwise in a tube, so I have never found a need to make super long casts. Reels that you bring into a float tube are likely to go under the water every now and again, so keep that in mind when selecting one. You don't want to take unnecessary risks when float tubing. - Always wear a life jacket when you go out no matter how small the body of water is and how good of a swimmer you are. Don't wear the ones that inflate automatically when submerged in case you accidentally get wet; this happened to me once. -Don't overinflate your tube, especially on a hot day, as that can cause leaks. -Be careful going out on windy days, as you could get blown out into open water or to the wrong side of the lake. Some people tie ropes to shore to keep them where they want to be, but personally if it is that windy I don't go out. Kids can get into float tube fishing too. 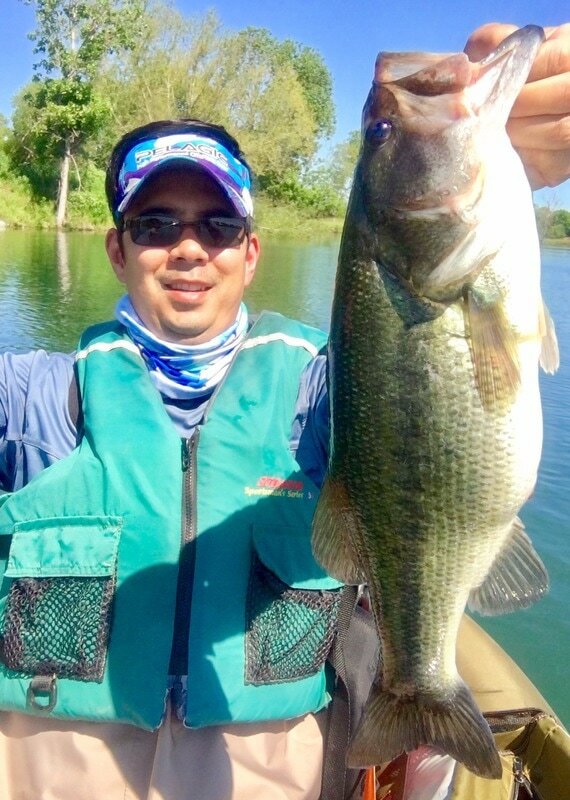 Nice bass like this will tow your tube around.